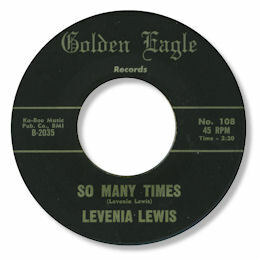 Luvenia (or Lavenia or Levinia) Lewis recorded a series of sessions in Houston through the 60s for both of those two nasty men Roy Ames and Huey Meaux, as well as the more acceptable Charlie Booth As was commonplace with those entrepreneurs production values were not of the highest, and they recycled songs on a variety of labels. 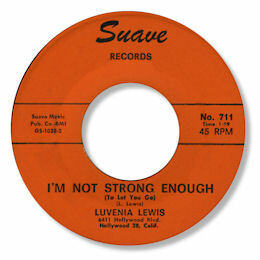 Luvenia’s strong and musical vocals came across well, whether the song she was singing was close to pop or whether it was harder edged rhythm and blues. "I'm Not Strong Enough" was a good R & B ballad complete with an odd ball solo trombone accompaniment. Better still was the similarly styled So Many Times which may well have been cut at the same session. 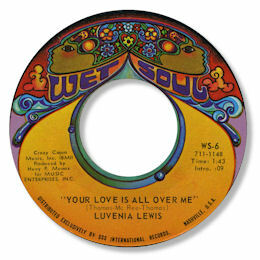 The uptempo "Your Love Is All Over Me" is the closest Luvenia got to a straight ahead soul song and this is reflected in a more sophisticated arrangement and a better production. But her best performance came on the excellent Tender Loving Pain on which her vulnerability is beautifully expressed amid a much more powerful rhythm and horn backing - with a speical nod to the tasteful guitar and organ playing. She was helped by a welcome girl chorus which gives punch to the refrain. No wonder this was the only one of her releases to get a national distribution via Atlantic subsidiary Cotillion. UPDATE ~ Both David Cole and Davie Gordon have very kindly filled in a few gaps in this shoer account of Luvenia's life and times. She was born in Lufkin, TX but moved early to Houston. She worked with Leo Baxter as a teenager but cut her first disc behind the Johnny Otis band for Don Robey in 1954 as "Lovey Lewis". 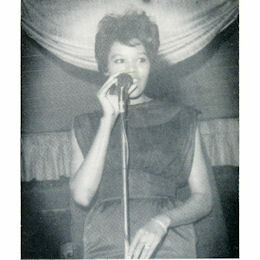 Luvenia gave up singing around 1970 and was married to guitarist Cal Green. I'm grateful to both Davids for the knowledge, and to Bob Eagle for the clarification on Luvenia's marital status.